The five dimensions are the three of space, the fourth dimension of the time that went into generating the content and making the book, and the fifth is the performative dimension of the book’s opening out into new interactions. 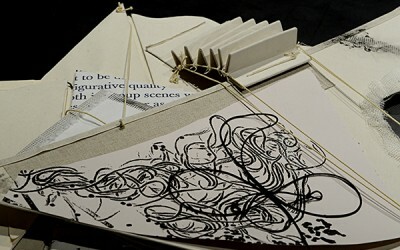 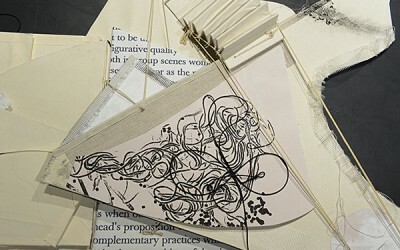 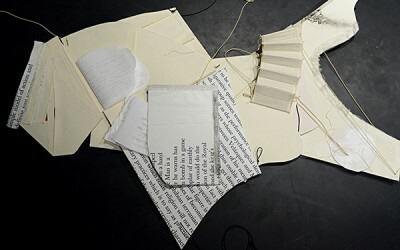 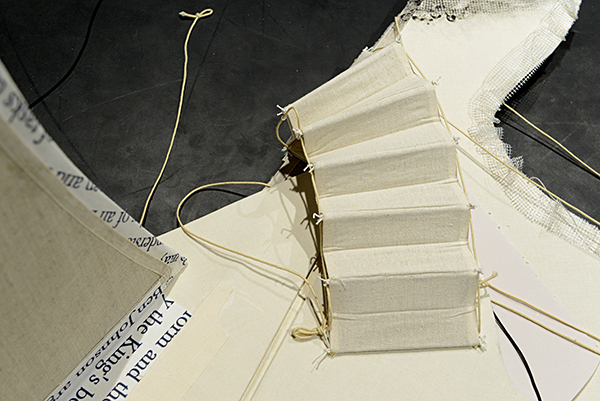 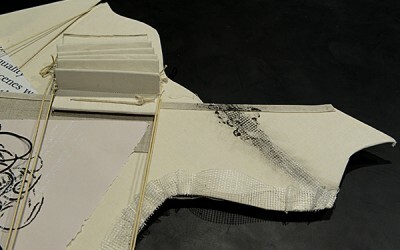 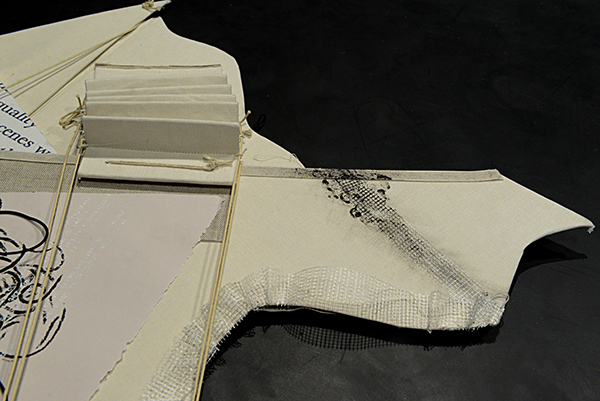 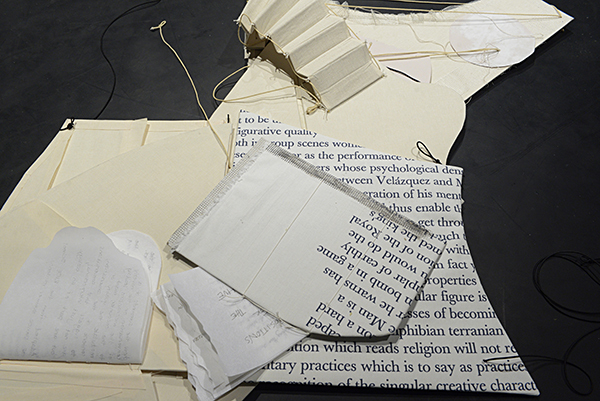 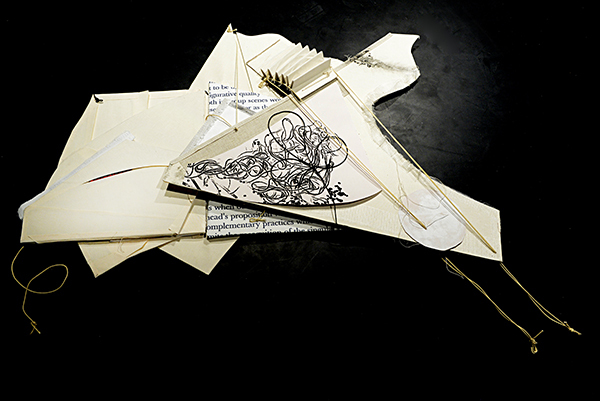 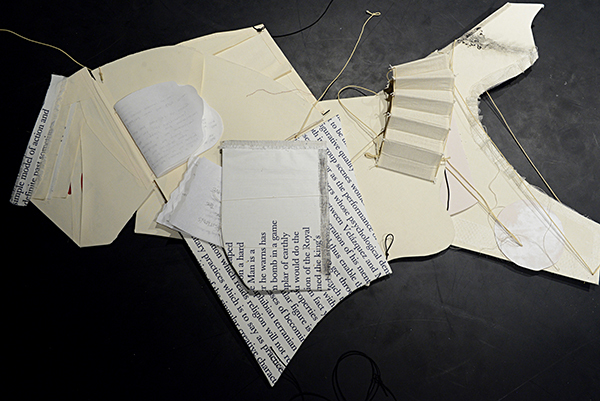 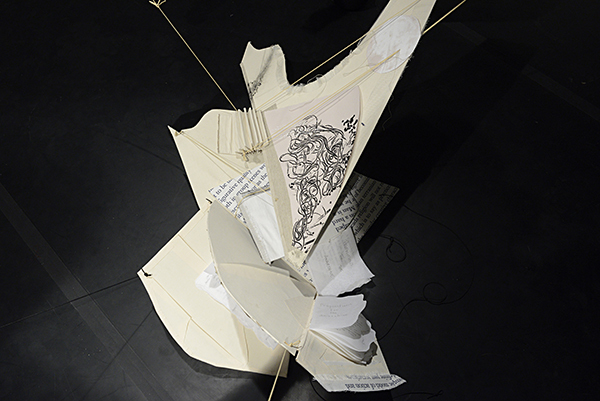 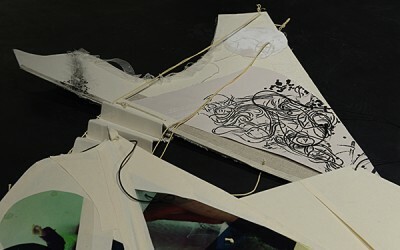 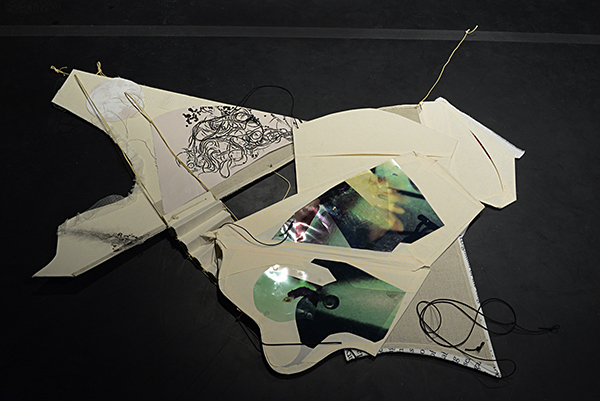 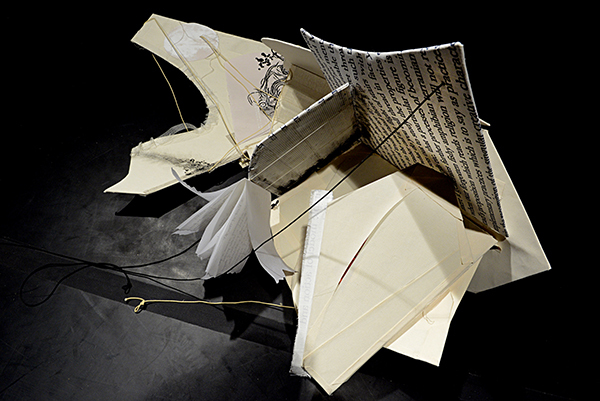 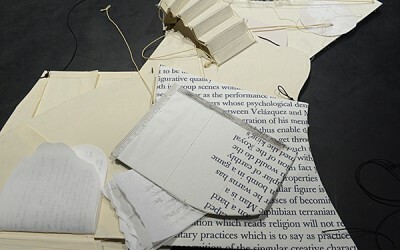 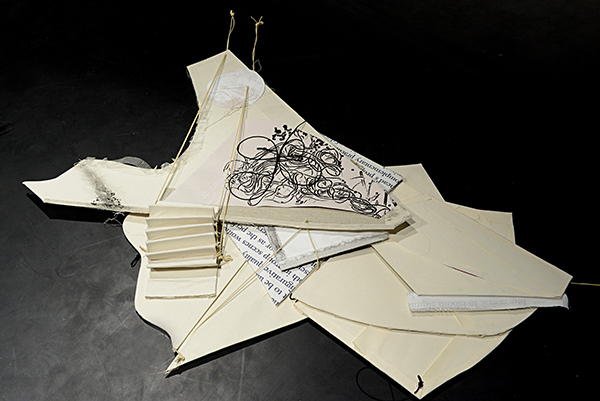 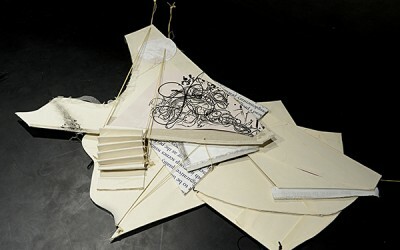 The book is a mixed-media construction of book-binding materials, fabric, thread, ink, transparency images, and paper. 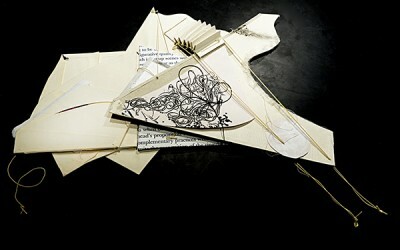 It has multiple covers of variable shape that unfold along different axes. 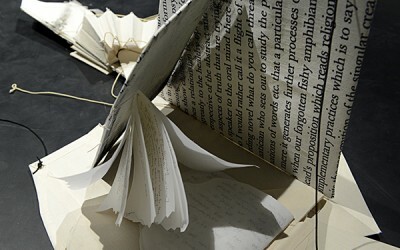 Different leaves may be inserted in between the covers of the book. 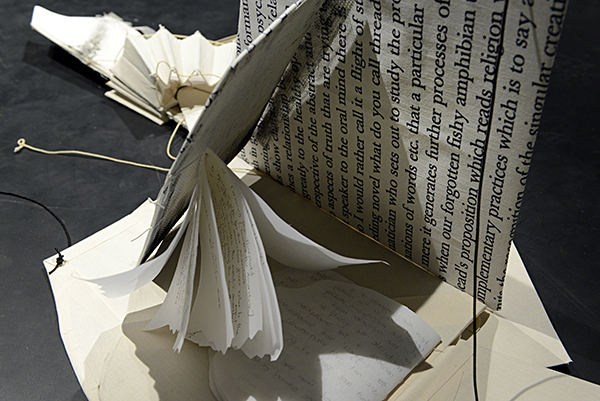 For this iteration, hand-made velum pamphlets hold Process Seed Bank recipes. 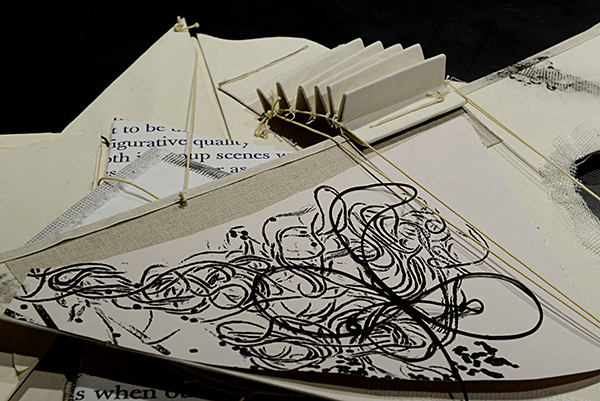 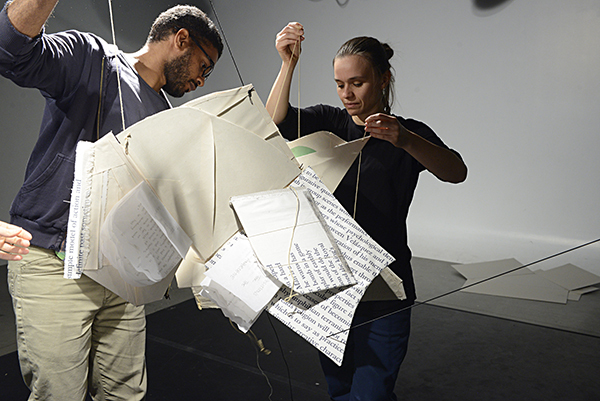 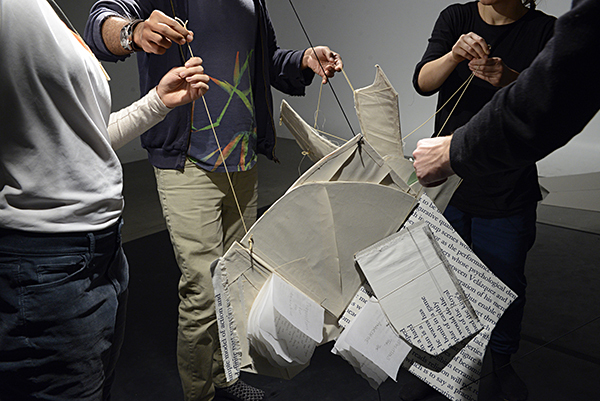 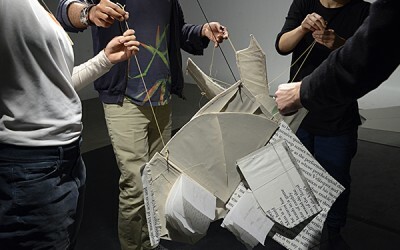 Strings are attached to some of the covers, so that the book may be handled at arm’s length by more than one person, thus integrating a relational, more fully embodied, gestural “interface” into the book genre.